On March 17 we published a post on NRC safety culture (SC) related activities with individual licensees since the SC policy statement was issued in June, 2011. On July 3, we published an update for second quarter 2012 activities. 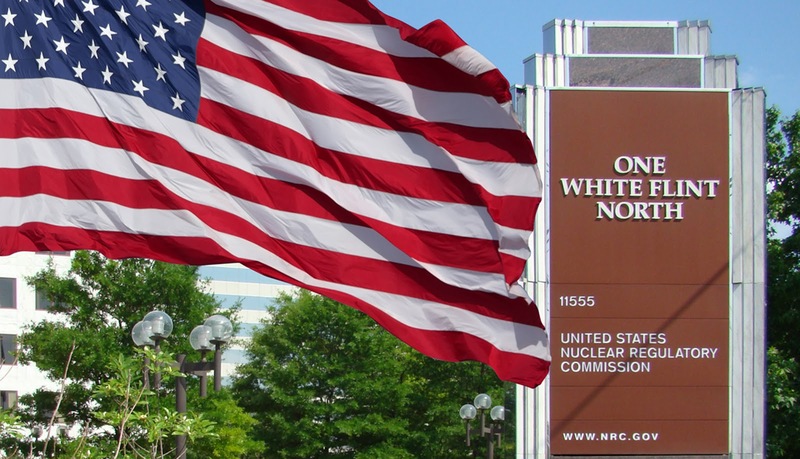 This post highlights selected NRC actions during the third quarter, July through September 2012. Our earlier posts mentioned Browns Ferry, Fort Calhoun and Palisades as plants where the NRC was undertaking significant SC-related activities. It looks like none of those plants has resolved its SC issues and, at the current rate of progress, I’m sure we’ll be reporting on all of them for quite awhile. As we reported earlier, this plant’s SC problems have existed for years. On August 23, TVA management submitted its Integrated Improvement Plan Summary* to address NRC inspection findings that have landed the plant in column 4 (next to worst) of the NRC’s Action Matrix. TVA’s analysis of its SC and operational performance problems included an independent SC assessment. TVA’s overall analysis identified fifteen “fundamental problems” and two bonus issues; for SC improvement efforts, the problems and issues were organized into five focus areas: Accountability, Operational Decision Making (Risk Management), Equipment Reliability, Fire Risk Reduction and the Corrective Action Program (CAP). SC must be addressed to the NRC’s satisfaction prior to plant restart. The Omaha Public Power District (OPPD) published its Integrated Performance Improvement Plan on July 9. *** The plan includes an independent safety culture assessment to be performed by an organization “that is nationally recognized for successful performance of behavior-anchored nuclear safety culture assessments.” (p. 163) Subsequent action items will focus on communicating SC principles, assessment results, SC improvement processes and SC information. The NRC held a public meeting with Palisades on September 12, 2012 to discuss the plant’s safety culture. Plant management’s slides are available in ADAMS (ML12255A042). We won’t review them in detail here but management's Safety Culture Action Plan includes the usual initiatives for addressing identified SC issues (including communication, training, CAP improvement and backlog reduction) and a new buzz phrase, Wildly Important Goals. NRC supplemental inspections can require licensees to assess “whether any safety culture component caused or significantly contributed to” some performance issue.# NRC inspection reports note the extent and adequacy of the licensee’s assessment, often performed as part of a root cause analysis. Plants that had such requirements laid on them or had SC contributions noted in inspection reports during the third quarter included Brunswick, Hope Creek, Limerick, Perry, Salem, Waterford and Wolf Creek. None of this is a surprise. Even the new Chairman tells it like it is: “In the United States, we have . . . incorporated a safety culture assessment into our oversight program . . . . “### What is not a surprise is that particular statement was not included in the NRC’s press release publicizing the Chairman’s comments. Isn’t “assessment” part of “regulation”? Given the attention we pay to the issue of regulating SC, one may infer that we object to it. We don’t. What we object to is the back-door approach currently being used and the NRC’s continued application of the Big Lie technique to claim that they aren’t regulating SC. * P.D. Swafford (TVA) to NRC, “Integrated Improvement Plan Summary” (Aug. 23, 2012) ADAMS ML12240A106. TVA has referred to this plan in various presentations at NRC public and Commission meetings. ** V.M. McCree (NRC) to J.W. Shea (TVA), “Mid Cycle Assessment Letter for Browns Ferry Nuclear Plant Units 1, 2, and 3” (Sept. 4, 2012) ADAMS ML12248A296. *** D.J. Bannister (OPPD) to NRC, “Fort Calhoun Station Integrated Performance Improvement Plan Rev. 3” (July 9, 2012) ADAMS ML12192A204. **** NRC, “09/11/2012 Meeting Summary of with Omaha Public Power District” (Sept. 25, 2012) ADAMS ML12269A224. ***** J.B. Giessner (NRC) to A. Vitale (Entergy), “Palisades Nuclear Plant – Notification of NRC Supplemental Inspection . . . and Request for Information” (Aug. 30, 2012) ADAMS ML12243A409. # The scope of NRC Inspection Procedure 95001 includes “Review licensee’s evaluation of root and contributing causes. . . ,” which may include SC; IP 95002’s scope includes “Determine if safety culture components caused or significantly contributed to risk significant performance issues” and IP 95003’s scope includes “Evaluate the licensee’s third-party safety culture assessment and conduct a graded assessment of the licensee’s safety culture based on evaluation results.” See IMC 2515 App B, "Supplemental Inspection Program" (Aug. 18, 2011) ADAMS ML111870266. ## M. Gray (NRC) to M.J. Colomb (Entergy), “James A. FitzPatrick Nuclear Power Plant - NRC Integrated Inspection Report 05000333/2012003” (Aug. 7, 2012) ADAMS ML12220A278. ### A.M. Macfarlane, “Assessing Progress in Worldwide Nuclear Safety,” remarks to International Nuclear Safety Group Forum, IAEA, Vienna, Austria (Sept. 17, 2012), p. 3 ADAMS ML12261A373; NRC Press Release No. 12-102, “NRC Chairman Says Safety Culture Critical to Improving Safety; Notes Fukushima Progress in United States” (Sept. 17, 2012) ADAMS ML12261A391.